SEAT adds some sporty aggression to the Ateca, but is the FR worth the extra cash? I find it somewhat curious that car makers are scrambling to roll out ever sportier versions of their SUVs and crossovers. For the past four decades, the two obsessions of car buyers around the world have been increasing power and increasing ride height, and clearly car makers are trying to cash in on two birds with the one SUV-shaped stone. Of course, it's daft. Beyond daft. Yes, a Porsche Cayenne Turbo is big and big fun, but in general adding sportiness means adding stiffer suspension, lower-profile tyres, alloy wheels that are bigger, more eye-catching and therefore more vulnerable to damage, and engines with more grunt and which are therefore inevitably thirstier. Given that the SUV revolution has been, in the large part, driven by families looking for practical transport with a dash more style than egg-shaped MPVs, you can see just how far apart the two Venn diagrams might be. For all that, sporty-looking FR variants of the SEAT Ateca were all but inevitable. The Spanish brand has made good use of its FR badge in recent years (the Leon FR continues to be an outstandingly good value purchase) and with the Ateca being a big seller for SEAT, well you can fill in the rest. To become an FR, an Ateca needs no major mechanical upgrades, as this is about broadly cosmetic sportiness, rather than engineered-in performance boosters. So, buyers get very attractive 19-inch wheels, upgraded steering, full LED headlights, a part-Alcantara interior, black roof rails and window surrounds, a 'Driver Profile Selection' that allows you to choose between Sport, Normal, Eco, Individual and Off-Road modes, a glossy black radiator grille, a rear spoiler and some chunky body mouldings to give it that gym-and-creatine-powder look. It's all rather successful - the Ateca is a good looking car in its most basic form, so the FR add-ons quite simply accentuate what was already there; a well-cut suit on an already pleasing muscle structure, if you will. The cabin revisions are generally very pleasing. You could easily (and rightly) accuse the standard Ateca interior of being a bit plain and a bit plastic, so the FR bits do add some much needed visual and tactile style. The seats, with those Alcantara inserts, are gloriously comfortable, the eight-inch 'Media System Plus' touchscreen has attractive graphics and a pretty simply menu layout, while smaller items such as the aluminium pedal covers and leather wrapping for the steering wheel are small cherries on an increasingly tasty cake. The fundamentals of the cabin have, thankfully, for the most part been left untouched. The rear seat is broad and has good room for legs and heads, so the family-friendliness is undimmed. The boot is the only casualty, as the addition of the rear differential for the 4Drive 4x4 system means that volume is reduced, compared to a front-wheel-drive Ateca, by 25 litres, to 485 litres. That's still relatively healthy, in fairness, but the Ateca's load space draws a second black mark when you realise that, if you fold the back seats down, there's no flat load floor, but a distinct, inch-thick step instead. Does the 4Drive system justify its robbing of crucial litres from the luggage bay? Up to a point, yes. In spite of the Off-Road setting for the drive selector, I don't think many owners are going to take their Ateca up into the forest (not least because those 19-inch alloys and their watch-strap Pirellis wouldn't last long if they did...), but the extra traction on offer was certainly welcome during some of the sleety, torrential downpours that blighted our time with the car. The 4Drive system is a descendant of the old MkI Audi TT's Haldex system, and it has come on a long, long way since then. There is no noticeable shunting or shuffling of torque around the axles, and in general the Ateca never put a foot wrong in our time with it. The steering is nice too - well-weighted and with a tiny modicum of feel if you switch everything over into Sport mode. Which you might as well as it won't make any difference to the ride quality (the dampers are passive) and little enough to the economy. That economy isn't great though. How could it be with a 190hp turbo petrol engine doing the hauling? A distant relative of the Golf GTI's mill, the TSI engine pulls strongly and has good refinement, but we struggled to do much better than 8.0 litres per 100km in our time with the car. If you don't need the 4Drive system, you'd probably be better off downgrading to the 1.4 TSI with 150hp, which is an excellent and frugal engine. You'll also save €300 a year in tax. Finally, we must come to the issue of money. Because you're going to need a lot of it for this one, €40,000 in fact, which is a what we would call 'a lot.' The problem is that the Ateca's USP is one of being mechanically identical to the VW Tiguan, but a couple of thousand Euro less expensive, blow-for-blow. At this price level, the Ateca loses a lot of that sheen, but again dropping the 4Drive and going for the 1.4 TSI engine would save you a bundle, at very little cost in dynamic terms. So while the SEAT Ateca remains a hugely likeable car, and one of our favourite SUVs, and the FR trim does certainly have its visual appeal, this specific version is less than recommendable. 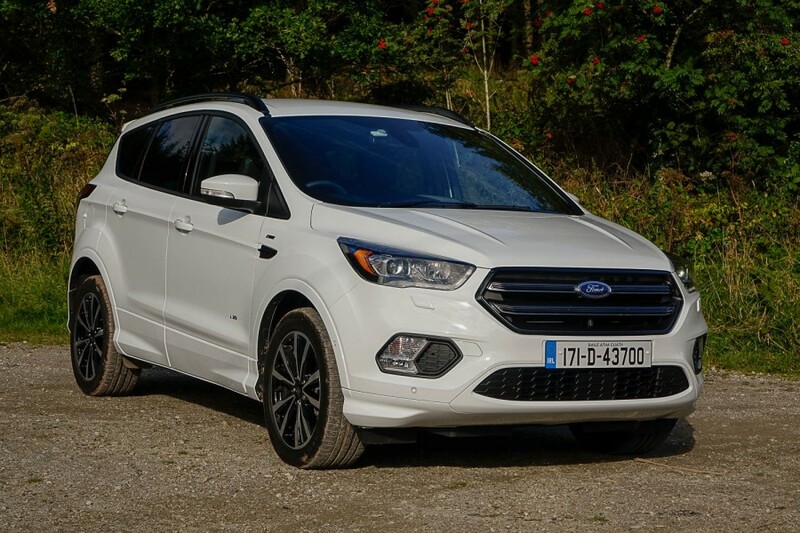 Ford Kuga ST-Line vs. SEAT Ateca FR 2.0 TSI 4Drive: not as good inside as the Ateca, but a sharper drive. 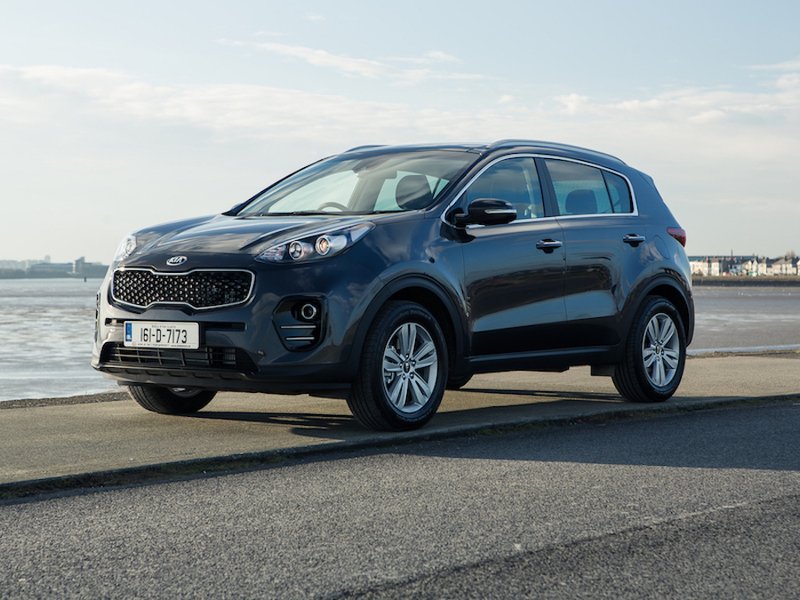 Kia Sportage vs. SEAT Ateca FR 2.0 TSI 4Drive: you can't spell Sportage without Sport, but Kia's sharp-looking SUV is not sporty to drive. 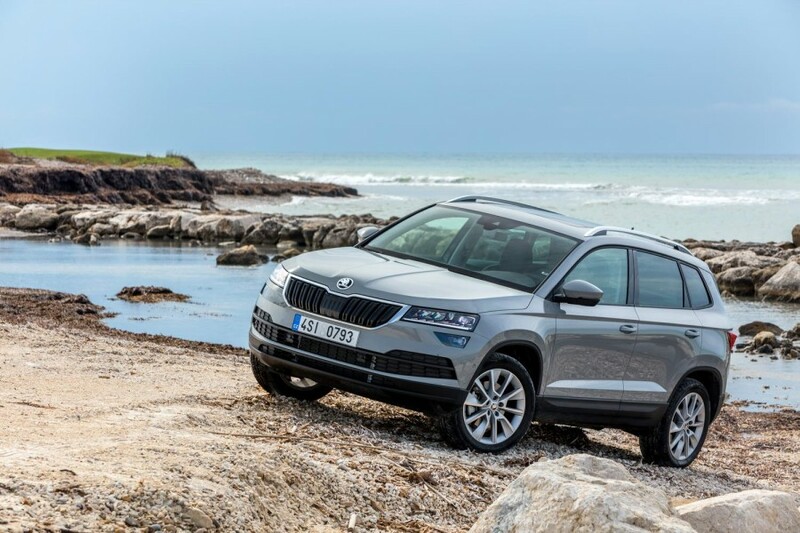 Skoda Karoq vs. SEAT Ateca FR 2.0 TSI 4Drive: about to become a serious thorn in the Ateca's side.